“Standard” Closings – We should be especially hesitant to hold any letter to a standard closing since there is much variety to be found among the epistles. However, seeing the kind of content that may be found might spur our thinking a bit, then next time I will probe the possibilities further. 1. Travel plans and personal situation – Never forget that epistles are not data-dumps, they are a glimpse into a gripping narrative. These sections sit up to be preached effectively when we know the power of narrative. 2. Prayer – Often brief, but a glimpse into the writer’s thinking and often a summary of what has occupied him throughout. 3. Commendation of fellow workers – A meaningless list of names? Not so fast, they are there on purpose and can reveal much of the situation and connections. 4. Prayer requests – This could be a personal and vulnerable glimpse, or an applicational grounding of what has come before. Either way . . . useful. 5. Greetings – Typically a personal touch to reinforce the narrative force of the letter. 6. Final instructions and exhortations – Almost always a helpful summary of the main teaching re-applied in the closing inches of the papyrus. 7. Holy kiss – Not sure what to say about this bit, but maybe because I’m English. 8. Autographed greeting – Helps you realize that an amanuensis was writing, and importantly, that the author wanted to be identified. Why? 9. 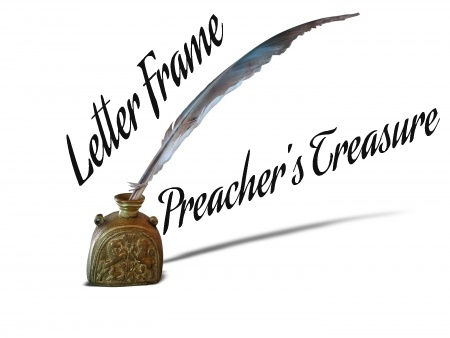 A “grace” benediction – Perhaps Paul was just polite, or maybe he was happy to be known for preaching grace at every opportunity, including the final line of his letters? Some combination of these elements will appear at the end of an epistle. How to preach them is worth pondering because they are both inspired and sadly too often ignored. I’ll probe some examples next time.